Celebration 2018 Breakout Sessions – Which one is right for you? 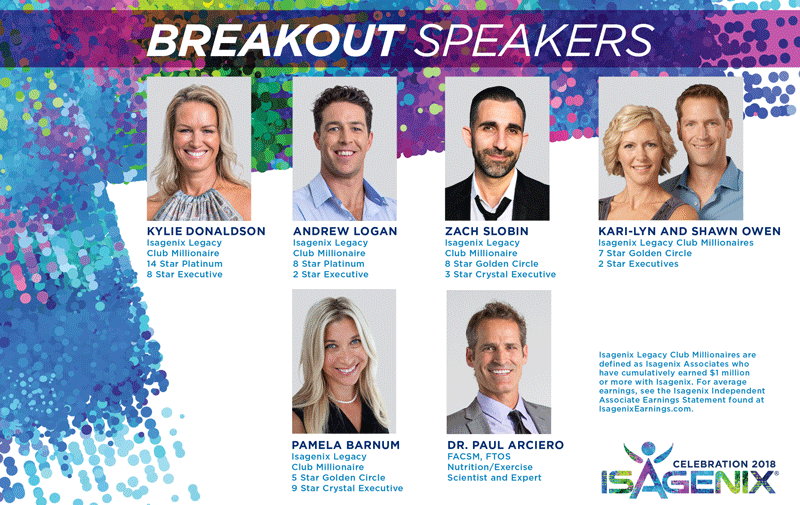 Our Celebration Breakout Sessions are the perfect opportunity for Celebration 2018 attendees to explore the business topics of their choice and receive extensive training from Isagenix top leaders. Check out the Breakout Sessions on offer and get your Celebration weekend sorted ahead of time! Learn more about our international and homegrown Celebration 2018 speakers and discover which Breakout Session is right for you at ANZ.IsagenixEvents.com.